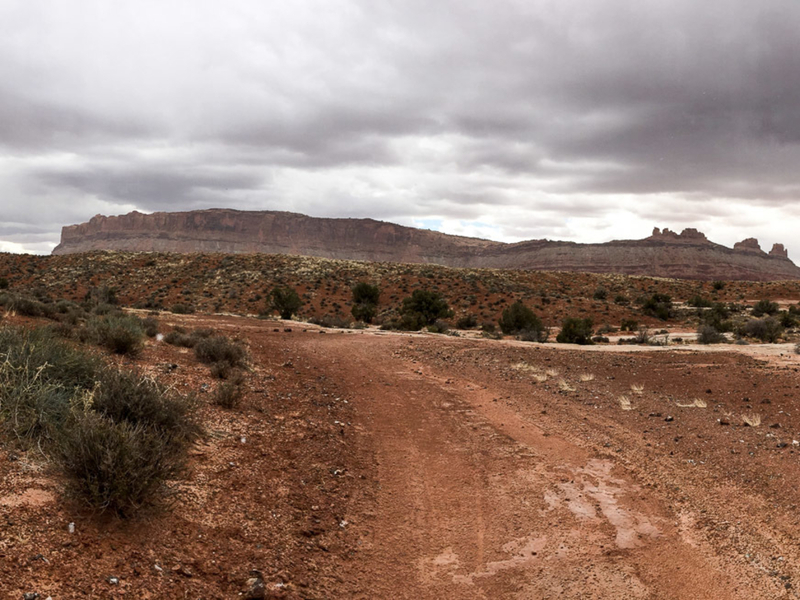 An easily accessible perfect first place to mountain bike in Moab, UT. 30 miles of trails of varying levels from beginner to difficult that is marked. Great for families, a some quick cardio after a day of climbing or hiking or a last ride on your way out of town. 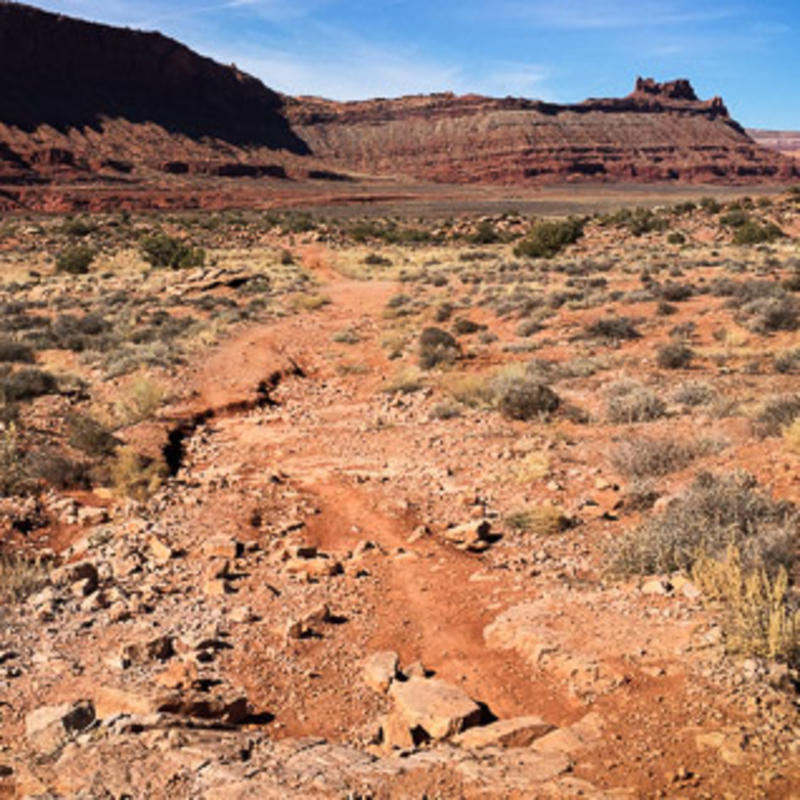 This trails system is referred to by two names -- Bar M (named after the restaurant they are next to) or the Moab Brands Trails (named after cattle brands to spell out MOAB). They are the perfect place to spin your legs after your drive to Moab, especially if it is for the first time. Moab is the adrenaline capital of the world and it is easy to get in over your head as much of terrain is extreme to spicy in nature. 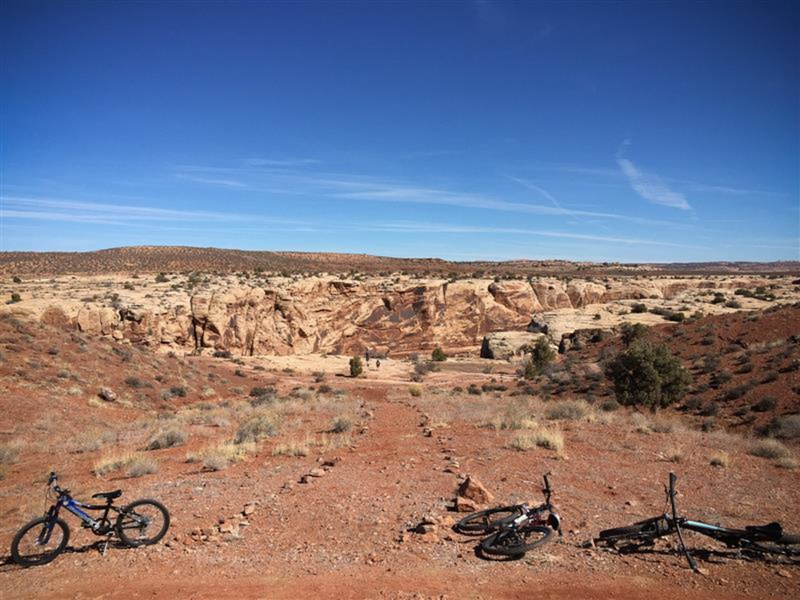 Traditionally, mountain biking in Moab was mostly on the same trails as dirt bikes and other motorized vehicles. Recently, there has been a significant great effort has to build single-track trail systems for mountain bikes only. Bar M offers over 30 miles of trails varying in difficulty from “easy” marked well with a green circle, “intermediate”marked with blue squares, and “difficult” marked with black diamonds. All of the trails are well worn and well marked for their name and their rating. The Bar M loop is the perfect place to take a long easy loop around the exterior of taking in views of the LaSal Mountains to the south east, Arches National Park to the East and the wall of red rock to the west. 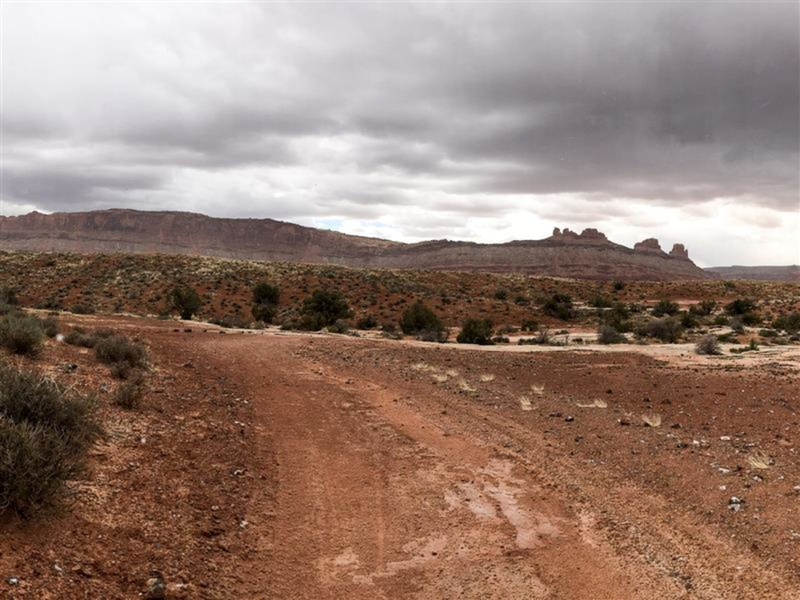 On one of the southern trails there is a look out to a canyon that leads to Courthouse Wash in Arches National Park (a 8-9 mile run/sand/bushwhacking adventure.) On the north there is another view accessible via a marked trail into a little canyon. 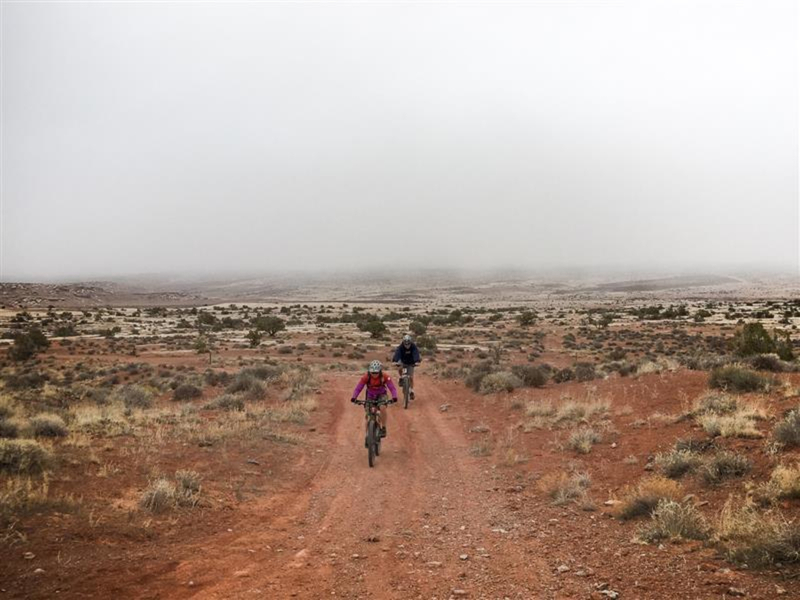 This area, in general, is great for building confidence in all the aspects of desert riding- sand, dropoffs and step ups, riding on hard Entrada sandstone as well as sandy, rocky ascents and descents. This loop is perfect for 1sttime riding in Moab, a little cardio after a day or climbing or hiking or for families with children. Bar M trails are located 22 miles south of I-70 if you are coming from the north on route 191 towards Moab,which is another 8 miles south. The parking lot is on the east side 191, across the street from the parking area for Gemini Bridges. The signage is clear and the parking lot, outhouses and kiosk with information about the trail system are all visible from 191. For an extra workout, or just the desire to have one less car on the road, ride from town on the paved pathway on the east side of route 191. It will add 8 miles each way including a scenic and climb and descend. There are bathrooms and/or additional Parking lot/meeting area just south of crossing the Colorado River a mile from town. There is a map at the kiosk at the main parking lot and another at the southern entrance if you are riding the paved trail from town. There is no water available at the trailhead or along the trails. It is BLM land with no fees. Dogs are allowed, carry water for them too.